What Are Your Top AP Concerns? There's a lot to gain by automating accounts payable processes. Despite all the benefits, many organizations have not taken the necessary steps to automate their process. It's time to help your AP department keep up. 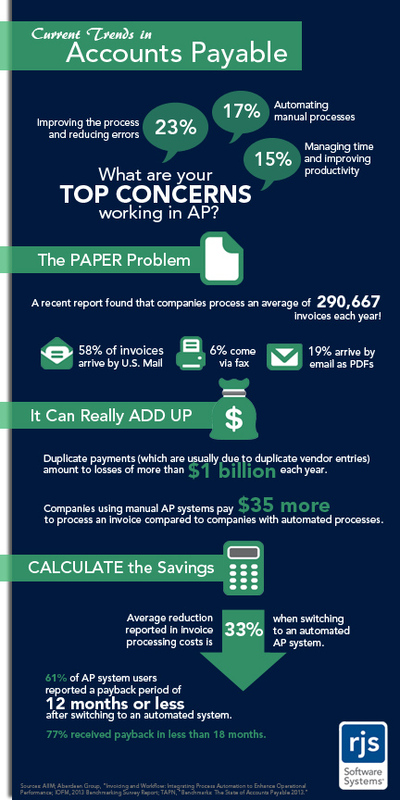 Dig into this infographic and discover where you can improve your AP workflows. What Are Your Top Concerns in AP? Paying invoices on time? Speeding up your processes? Eliminating errors like duplicate payments? Find out how automating AP will alleviate these problems in Three Layers of AP Automation—and How to Approach Them.